Wrestling Mom shirt has so much sparkle, the opposing team will need sunglasses. What Mom doesn't like to support her wrestler? 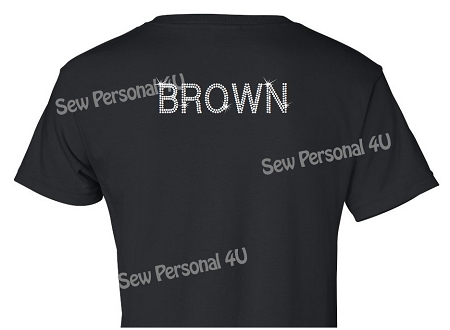 Our bling wrestling Mom shirts can be custom designed to support your favorite player. Optional updates include adding city or mascot name, personalized shirt back in uniform style and adding your player number in mega bling. Make it your own and support your team with BLING!